Thousands of Australian holidaymakers are exposing themselves to unnecessary risk by relying on travel insurance coverage offered through their credit cards. Travel insurance leader, Travel Insurance Direct (TID) (www.travelinsurancedirect.com.au) has warned that policies offered by credit card providers are often very limited and highly qualified. Some require that travellers purchase all airfares in full on their credit card before cover is valid, while others demand that 50 per cent of prepaid travel, including airfares and hotel bookings, must be made using their card. “Credit card providers often offer complementary travel insurance cover as a perceived “bonus” for their elite cardholders,” TID General Manager Ian Jackson said. Mr Jackson said the Federal Government’s Smart Traveller website (www.smartraveller.gov.au) specifically advised holidaymakers to check the terms and conditions of any travel insurance offered through credit cards. 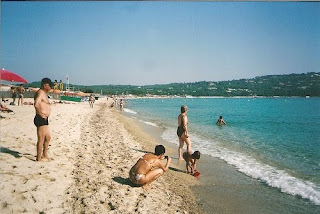 o A requirement that a specified amount of the holiday be paid for on the credit card to activate the policy. o No coverage for pre-existing medical conditions, such as asthma or diabetes. Some credit card policies refuse to cover any pre-existing conditions while others require holidaymakers to make a special application for additional coverage and pay a surcharge if approved. o Conditions on claims while travelling. For instance, with one major credit card holidaymakers needing emergency medical assistance while travelling are required to produce a copy of their credit card statement showing their return airfare payments before they can gain approval for support. o Limits on length of coverage. Most credit card providers have a strict 90-day coverage limit for any one trip and will not allow policyholders to extend their coverage while they are travelling. o No cover for business travel or for items used for any business purpose. o Strict limits on sporting activity such as boating and white water rafting. Mr Jackson said many holidaymakers found it difficult to obtain the full details of their credit card cover and were not provided with their policy or emergency contact details. “As a specialist travel insurance company we constantly hear tales of woe from consumers who’ve assumed they have full coverage through their credit card only to discover that it falls short, leaving them to carry the cost. 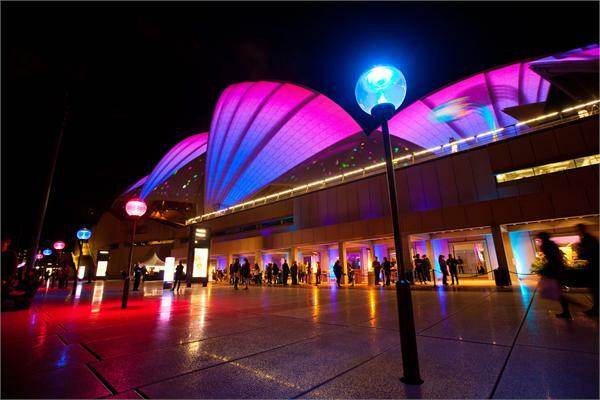 Sydney Opera House has announced The Vivid LIVE Stage Door Tour, marking the first time Sydney Opera House has offered bespoke backstage tours drawing content from a major festival. Departing from Stage Door at 6pm each night throughout Vivid LIVE, these intimate tours will offer exclusive access into Sydney Opera House theatres, backstage corridors and possibly even dressing rooms - all bound to be abuzz with festival fever. Along the way visitors will gain insider knowledge about what it takes to bring Vivid LIVE to life, as well as learning more about this year’s acts including Karen O in STOP THE VIRGENS, Florence + the Machine, Janelle Monae, The Temper Trap and PVT. The Vivid LIVE Stage Door Tour wouldn’t be complete without mentioning the famous Lighting the Sails, which sees the House transform into an icon of colour and light via digital mapping technology. The tour will take an up close look at designs by multi-award winning German design collective, URBANSCREEN. Tickets to The Vivid LIVE Stage Door Tour will be extremely limited, with only ten departures over the ten days of the Vivid LIVE festival. Tour tickets are sold separately to Vivid LIVE shows. Vivid LIVE at Sydney Opera House (25 May – 3 June) is part of Vivid Sydney (25 May – 11 June), the city’s annual celebration of light, music and ideas. Thank mum for everything she does for you this Mother's Day, Sunday May 13, by treating her to a special breakfast, lunch or dinner cruise on the picturesque Sydney Harbour with Captain Cook Cruises. Start her day with a relaxing Sunday Breakfast cruise which includes a delicious hot and cold buffet selection and tea and coffee. 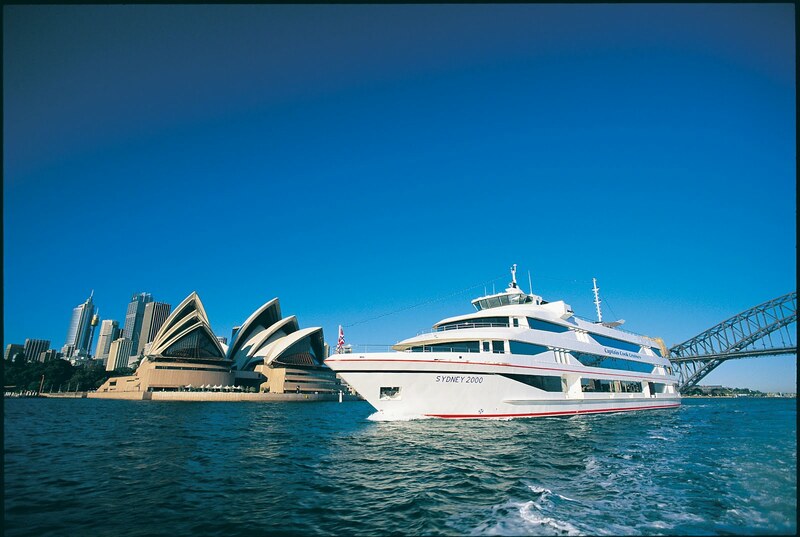 The Sunday Breakfast cruise departs from No 1 King Street Wharf at 9.00am and from Jetty 6 Circular Quay at 9.30am. The Sunday Breakfast cruise is $55 per adult and as a Mother's Day bonus, one child under 15 years is free with every paying adult. The Seafood Buffet Lunch onboard the MV Sydney 2000 features full commentary on all the harbour sights and departs at 12 noon from No 1 King Street Wharf, returning at 1.45pm and at 12.30pm from Jetty 6 Circular Quay, returning at 2.20pm. The cruise is $75 per person and one child under 15 years is free with every paying adult. For a real treat for mum Captain Cook Cruises is offering a Mother's Day Long Lunch cruise. Over this three hour cruise Mum can indulge in a delicious three course Contemporary Australian a la carte dining menu and enjoy all the amazing Sydney Harbour sights with relaxing ambient music being played in the background. The Mother's Day Long Lunch cruise departs at 12 noon from No 1 King Street Wharf, returning at 3.30pm and at 12.30pm from Jetty 6 Circular Quay, returning at 3.45pm. The cruise is priced at only $85 per person, with a free upgrade to guaranteed window seating whilst seats last. An open bar of Tooheys beer, Tyrell's house bottle wine (still & sparkling) and soft drinks is available for an extra $25 per person. . If mum loves dancing she can dance the night away on the signature Captains Club Dinner and enjoy magnificent views and a superb three-course contemporary Australian a la carte meal including tea and coffee. With access to the open Star Deck mum can delight in 360 degree views of Sydney Harbour. The Captain's Club Dinner cruise departs at 7.00pm from Jetty 6 Circular Quay Circular or at 7.30pm from No 1 King Street Wharf and is a special Mother's Day price of only $99 per person. That's a saving of over 25% plus receive a free upgrade to guaranteed window seating whilst seats last. For an extra $25 per person an open bar of Tooheys beer, Tyrell's house bottle wine (still & sparkling) and soft drinks is available. For further information and bookings, please contact Captain Cook Cruises +61-2-9206 1111, Email: dine@captaincook.com.au or visit www.captaincook.com.au. Easter Bunny will hand out loads of easter eggs and play games with the kids over the Easter school holidays. 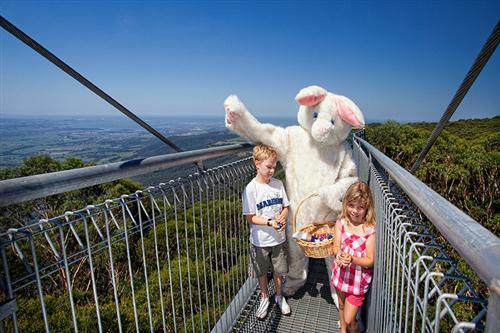 “Kids love Easter Bunny who’s all fluffy and white, and good fun” says Neredith Elliott Illawarra Fly General Manager “and with free entry for grandparents plus the Ultimate Day Pass it’s an affordable great day out”. “There’s a sense of excitement and adventure at each of the Easter Egg hunts, so many eggs to find” says Elliott. Afterwards Easter Bunny will take a walk on the longest and highest steel canopy walk in the world. Enjoy the panoramic views high above the escarpment across the South Coast. “The 45m tower is a big hit being one of the highest points to view the beautiful coastline” says Elliott. Not only can kids have fun over Easter, they get to learn about the rainforest with interpretive signage and they also get to burn off all their energy. Bring your grandparents! Any grandparents who bring their grandchild to the Fly over Easter will get free entry. Yes that’s right, if two grandparents bring their grandchild, both grandparents get in for the price of one child! This is perfect for the Grandparents to take all their grandkids for a day in the Australian bush. Great for families or groups with kids. Not only great value for families, think about two mums or two dads with four kids between them – they only pay $42 for each family group. It doesn’t have to be mum & dad. This school holidays bring the kids for an outing at the Treetop Walk and let them run free. It’s a great educational experience with loads of space and an exhilarating walk amongst the treetop canopy overlooking the south coast. It’s the longest and highest treetop canopy walk in the world. You can purchase the Ultimate Day Pass on entry to the Fly. The Southern Highlands is home to the NSW southern rainforest region. The rainforest is a diverse and spectacular environment, with Illawarra Fly encompassed within this beautiful Australian rainforest landscape. There are wet weather days highlighting the rainforest experience. To encourage people to visit during wet weather days and to truly experience the beauty of the rain forest, Illawarra Fly has created the Wet Weather Challenge. The kids will love being out of the house, all warm and waterproof running around on the treetop walk. Go to our facebook website, like us and all the details will be provided. We will use Facebook to call out when the challenge is on! Ponchos can be purchased for $3. Just bring an umbrella and enjoy the forest in its true glory. After your awe-inspiring walk, take in the ambience of café 106 and enjoy the varied menu with a coffee or glass of wine. Head to Illawarra Fly for the Easter school holidays for loads of entertainment and fun. Located in the Southern Highlands of New South Wales, less than two hours from Sydney or Canberra, Illawarra Fly Treetop Adventures offers a unique way to experience the rainforest with breathtaking views from the Illawarra Escarpment overlooking the beautiful South Coast from Wollongong to Kiama. Illawarra Fly is at Knights Hill, near Robertson in the Southern Highlands above the South Coast – why not take a tour of the Grand Pacific Drive, take in the Fly, eat lots of easter eggs, head to Robertson and check out the famous Pie shop then cruise back home. It’s a relaxing, interesting and fun day out, or take a break and spend a few days. 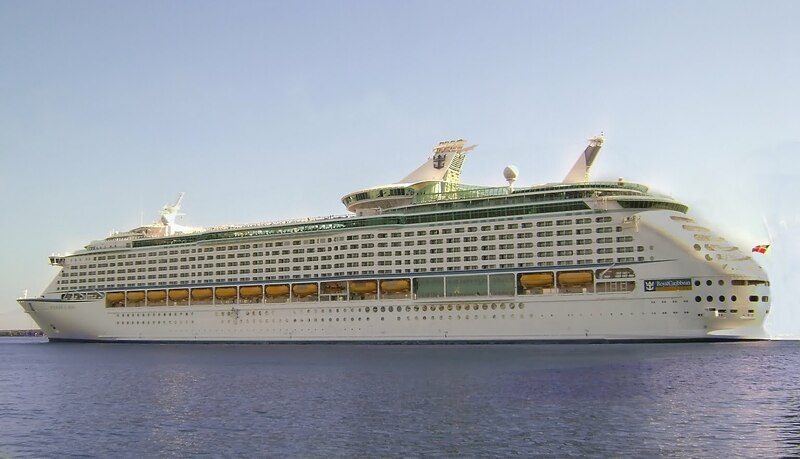 Royal Caribbean International is celebrating an addition to its summer 2013 deployment in the UK; the 3,114-guest Adventure of the Seas will join sister ship, the 3,634-guest Independence of the Seas, who will be based in Southampton for her fifth season. 2013 will be the first year that Royal Caribbean International will have two cruise ships based in the region. 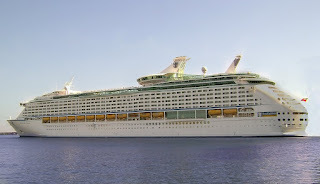 Royal Caribbean International first based a ship in Southampton in 2005 with the 2,435-guest Legend of the Seas and has since steadily increased its capacity with larger and larger ships calling the cruise city home. The addition of Adventure of the Seas to Royal Caribbean International's UK deployment sees the cruise line offering more Mediterranean, Northern Europe, Iceland, Baltics and Canary Island cruises than ever before. In 2008 the world's largest cruise ship at the time – Independence of the Seas – launched from Southampton and has remained based from the port during the spring and summer months of the year ever since. • A seven-night France and Spain cruise departing May 24, 2013 and calling at Vigo, Gijon, and Bilbao, Spain; and Le Havre (Paris), France. • A 14-night Mediterranean Cities cruise departing on July 7 and October 13, 2013 with ports of call including Malaga, Cannes, Barcelona, Palma de Mallorca, Valencia, Cartegena, Lisbon and Vigo. • Three and four-night cruises to Zeebrugge (Bruges), Belgium and Le Havre (Paris), France. • 12 night Canary Islands cruises. 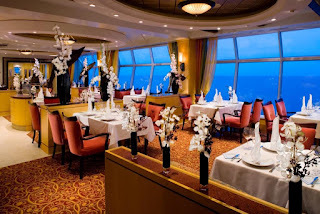 Fares for Independence of the Seas' fifth UK season start from $2,329 per person for a 14-night Italian Mediterranean sailing, and June 15, 2013 departure. This roundtrip cruise from Southampton takes in luxurious ports of call including Gibraltar, Provence, Florence/Pisa, and Rome, and also has departure dates on 13 July and 10 August 2013. And fares for Adventure of the Seas' maiden season start from $1,929 per person for a 12-night Baltic cruise (based on 13 June 2013 departure). Destinations featured include Oslo, Copenhagen, Tallinn, Helsinki and an overnight stay in St. Petersburg. For additional information or to make reservations, call your travel agent, call 1800 754 500 or visit www.royalcaribbean.com.au. 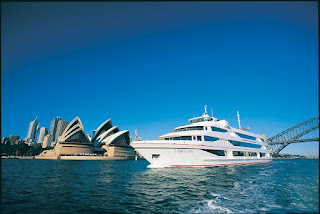 Travel professionals Travel can call 1300 754 500 or visit www.cruisingpower.com. The deal includes economy air fares from Sydney and Melbourne to Beijing with Air China, cabin and all meals and entertainment on Voyager of the Seas and two nights' accommodation at Raffles in Beijing. The cruise starts on October 8. The voyage begins at Tianjin and cruises to Fukuoka in Japan, Jeju in South Korea, Ziamen and Hong Kong in China and Ho Chi Minh City in Vietnam before spending two days at Bangkok's port of Laem Chabang. After a visit to Singapore, Voyager returns for two more days in Bangkok and another in Ho Chi Minh City before making several stops in Australia (Port Hedland, Perth, Adelaide, Melbourne and Hobart) before cruising Fjordland in New Zealand and stopping at Dunedin, Christchurch and Wellington before proceeding to Sydney. The price also includes land transfers, a full day Mutianyu Great Wall tour, port charges and taxes, as well as full use of facilities on Voyager such as golf simulator, spa and fitness centre, casino, rock climbing and ice skating. Four Seasons Hotel Sydney has created an enticing opportunity for families looking for a short city break this Easter, combining luxury and entertainment to offer an all-inclusive Sydney Royal Easter Show getaway package. In celebration of the much-anticipated annual Show event, families can enjoy accommodation in a Grand Premier City-View Room from $430* per room per night, including complimentary rollaway bed, buffet breakfast in Kable's for four, tickets to the Royal Easter Show for two adults and two children and hotel parking. Located at Olympic Park in Homebush, the Sydney Royal Easter Show runs from April 5 - 18, 2012, offering visitors a colourful and fun-filled family day out. The event showcases award-winning livestock, an Australian farm animal petting area, fresh produce displays, entertainment, carnival rides, showbags, food and shopping. After a big day out at the Show, kids can enjoy a refreshing swim at the hotel's outdoor heated pool, while the adults treat themselves to some much-needed relaxation with a Four Seasons signature treatment at The Spa. Conveniently located in the historic Rocks district offering Sydney's most iconic views, Four Seasons Hotel is moments away from the city's best shopping, dining and sightseeing. For reservations and information about Four Seasons Hotel Sydney visit www.fourseasons.com/sydney or call (02) 9250 3100. *Minimum two night stay, available in Premier rooms only. Valid April 5 - 18, 2012, subject to availability. Children must be 15 and under. DUE to unprecedented demand for the recently re-introduced destination Burma, adventure travel specialists Explore Worldwide have increased their Burma departures by more than 70 extra dates during 2012. Explore offers six different and unique tours to the mysterious country that include a highlights tour, a more thorough trip, a specialists cycling itinerary and a tailor-made holiday for families with children over seven years. An Ngapali Beach extension is also available with selected Burma tours. 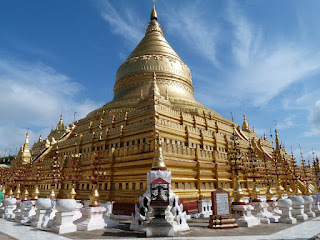 The most popular is the 14-day Burma Highlights itinerary which covers the must see places of Rangoon (Yangon) , Inle Lake, Bagan, the Shan Highlands, the old British hill station of Kalaw as well as spending time with the Palaung hill-tribe. The tour costs from $1750 per person twin share with departures in March and April, and July to December 2012. For families with children aged seven and over, Explore's new 14-day Adventures in Burma tour takes in 'The Golden Land's' highlights. 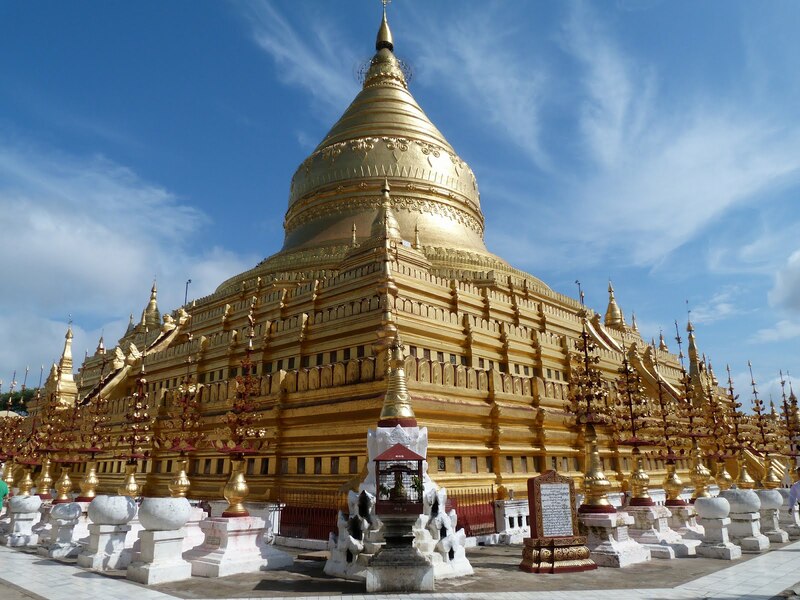 The 16 day tour visits Rangoon and Inle Lake, discovers a giant's pagoda and bell in Mandalay and explores the Shan highlands where families have the unique opportunity to meet people from the local tribe. Priced from $2059 per adult and $1995 per child there is an August departure this year. All small group tours are guaranteed departures and packages include accommodation and daily breakfast, some other meals, transportation, the services of a tour leader; driver and some local guides. Cruise Region Focus: The Baltic. Our insider’s guide takes an in-depth look at the cool cities, majestic fjords and centuries of culture you can explore in this fascinating part of the world. Insight: Music-themed Cruises. Jazz, classical or rock are just the ticket for serious fans. River Cruise: Experience a world gone by on Burma’s Irrawaddy and Chindwin Rivers. Wildlife: Meet baby orangutans in Borneo on an adventurous voyage with Orion Expedition Cruises. Look for Cruise Passenger in your local newsagents from March 12 or click below to subscribe – and remember, at just $29.95 for four issues a year, it’s the perfect gift for all cruiseaholics! PRIME POSITION: With such an idyllic location on the beachfront at one of the most popular places on the Sunshine Coast, one night at Mantra Mooloolaba Beach with all its fabulous facilities simply isn't enough… So stay at this stylish resort on The Esplanade in a One Bedroom Apartment from $242* per night for a three-night break from 6-9 April, 2012. Call 13 15 17 or visit www.mantra.com.au. 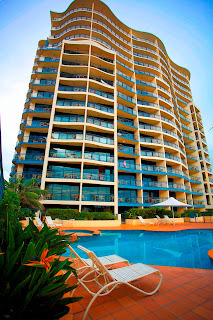 Mantra Legends Hotel, Surfers Paradise – Three night escape from $120* per night in a Hotel Room. Valid for travel from 1 April to 7 October, 2012. Mantra Sierra Grand, Broadbeach – Three night escape from $176* per night in a One Bedroom Apartment or from $224* per night in a Two Bedroom Apartment. Valid for travel from 1 April to 7 October, 2012. 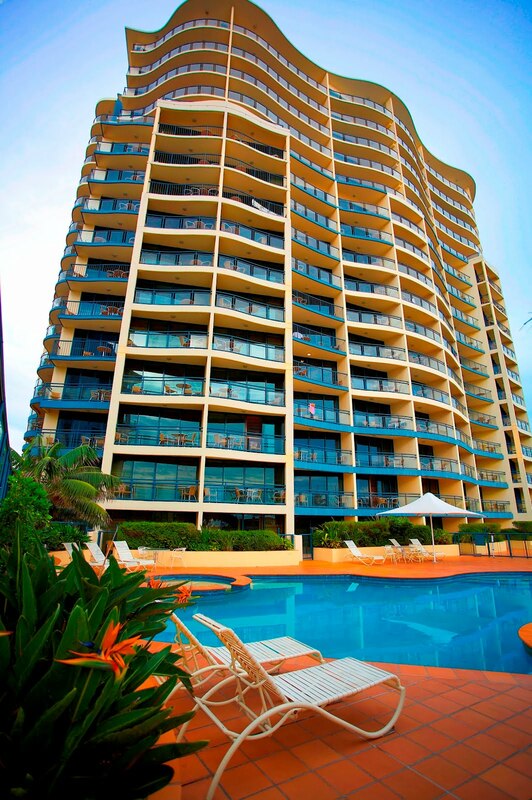 Mantra Coolangatta Beach, Coolangatta – Three night escape from $158* per night in a One Bedroom Ocean Apartment or from $188* per night in a Two Bedroom Ocean Apartment. Valid for travel from 1 April to 21 September, 2012. Call 13 15 17 or visit www.mantra.com.au. ON WITH THE SHOW: 5-18 April means tonnes of fun at the Sydney Easter Show, so the smart way to make the most of this spectacular event is to stay close by to all the action. Combine convenience with comfort at Mantra Parramatta from $269* per night in a One Bedroom Apartment including overnight parking, breakfast for two and two tickets to the Sydney Easter Show. Valid for sale until 17 April, 2012 and valid for travel 5-18 April, 2012. Call 13 15 17 or visit www.mantra.com.au. For information on the Sydney Royal Easter Show visit www.eastershow.com.au. FAMILY FUN QUEST: Get the whole family in the mood for fun these coming Easter school holidays with a visit to Questacon - Australia's National Science and Technology Centre in Canberra. Be challenged and amazed by this fantastic place that combines education with enjoyment, which is perfect for school holiday entertainment. And make a real holiday of it with a stay at Mantra on Northbourne, from $248* per night in a One Bedroom Apartment which includes a Questacon family pass and breakfast for two adults and one child, or from $338* per night in a Two Bedroom Apartment including a Questacon family pass and breakfast for two adults and up to three children. Valid for travel from 1 April to 30 April, 2012. Call 13 15 17 or visit www.mantra.com.au. For information on Questacon visit http://www.questacon.edu.au/#national. FLY NEARBY: Mantra Tullamarine Hotel was designed for the ultimate in convenience when it comes to travellers making the most of their getaway, so stay before you fly this Easter at Mantra Tullamarine from $199* per night in an Executive Studio including breakfast for two or from $219* per night in a Deluxe Studio including breakfast for two. Valid from 4-10 April, 2012. Call 13 15 17 or www.mantra.com.au . AWESOME AUTUMN: The tropics are refreshingly welcoming at this time of the year and Mantra Amphora at Palm Cove wants guests to enjoy the sunny warm days and clear mid evenings for as long as possible. So stay for one free night this Autumn and make the most of every minute – whether that be lazing around the pool and gazing over the palm-fringed beach, or experiencing the Great Barrier Reef and Daintree Rainforest. Stay for three nights but only pay for two from $160* per night in a Hotel Spa Room, or from $195* per night in a One Bedroom Apartment. Valid for travel from 1 April to 7 October, 2012. Call 13 15 17 or visit www.mantra.com.au. SALE AWAY: Mantra is on sale with a fantastic new batch of free night deals at even more amazing Mantra destinations all around Australia including the holiday hotspot of Cairns. Mantra Trilogy's deal allows guests to stay three nights but only pay for two, in a One Bedroom Apartment from $230* per night. Valid from 1 April to 30 June, 2012. Call 13 15 17 or visit www.mantraonsale.com.au. ROOM TO MOVE: Mantra Sirocco at the ever-popular Mooloolaba has just become even more accommodating with a new room classification available. The new Two Bedroom Executive Apartment offers extra space featuring an additional living area and open plan design for easy entertaining. The new rooms are ideal for R 'n R in the sun-drenched sitting area or separate living area at the rear of the apartment to unwind with a good book. Plus there's the convenience of a fully-equipped kitchen and laundry, alongside beautiful Italian furnishings, a granite bathroom with spa bath and breathtaking ocean views from a private balcony. The apartments feature one queen size bed and two singles, and all the great features you'd expect from Mantra, including air-conditioning, cable TV, internet access and ironing facilities. To celebrate its spacious new room type, Mantra Sirocco has launched a great-value stay for four nights, pay for three deal from $355* per night in a Two Bedroom Executive Apartment. Valid for travel from 1 April to 7 October, 2012. Call 13 15 17 or visit www.mantra.com.au. ONE FREE NIGHT: What better excuse to reinvigorate you mind, body and spirit than a break away to Mantra on Salt Beach at Kingscliff, especially when you receive one free night's accommodation. Stay for three nights but pay for only two from $217* per night in a One Bedroom Apartment and enjoy all this fabulous resort and idyllic location has to offer, from unspoilt beaches to a village atmosphere with seaside charm. Valid until 31 May, 2012. Call 13 15 17 or visit www.mantra.com.au. BEACH BREAK: Leave the city behind and escape to the coast on a Mantra Ettalong Beach getaway. Located on the shores of Ettalong Beach, the resort offers access to the surrounding unspoilt beaches and secluded bays, and the Brisbane Waterway and National Parks are just a short drive away. To showcase this ideal location, Mantra Ettalong Beach has joined forces with Central Coast Tourism in a $40,000 cooperative marketing campaign also supported by the NSW Government through Destination NSW and its Regional Tourism Partnership Program. To kick off the campaign, Mantra Ettalong Beach is offering the chance to escape the hustle and bustle and relax with a two night deal from $146* per night in a One Bedroom Apartment with hinterland views. Valid until 7 October, 2012. Call 13 15 17 or visit www.mantra.com.au. * Subject to availability. Minimum stays and block-out periods may apply. · Mixed information, misinformation and myths - one stop shop on medical advice before you take off! After having the worst year yet in terms of natural disasters, it is heartening to hear that New Zealand has some good news, boasting a record number of visitors. And true to the sentiment, "you get by with a little help from your friends", it is largely Australia that has contributed to this success. Not only do the latest figures show that New Zealand is the favourite international destination for Australian travellers, for this first time ever, Statistics New Zealand's International Travel and Migration figures show that annual visitor arrivals toped 2.6 million. Tourism New Zealand's General Manager Tim Burgess says, "The figures show that New Zealand held its own in what was a year of contrast. Australian arrivals were up in December by 6.7 per cent. As our largest market this translates into significant numbers. Beyond the world cup, there are a wealth of reasons why destination New Zealand is hot for 2012. The 2011 collection of significant awards - designating New Zealand as hot, popular and eco-friendly - confirms Aotearoa, New Zealand as a top international destination for visitors looking to fulfill their travel dreams." While often neglected as a consideration in travel planning, global roaming phone bills can end up being the single biggest expense of a trip abroad after airline tickets – in fact, in some cases even more than their airline tickets. Learn how to combat global roaming pitfalls and bill shock at daily seminars in mobile phone preparedness abroad. The 'Using your mobile overseas - what you need to know' seminars explain how to take control over call and data spending abroad. Jamien Zimmerman is available to "tell all"! Budget savvy Australian couples head OS for weddings - It's not just honeymoon destinations that bride and grooms are seeking as travel choices, but a growing trend for couples to choose an off-shore destination for their wedding as well. It would seem that it makes sound financial sense given that an Australian wedding for 100 guests costs around $60,000, while a destination wedding costs around $10,000 to $20,000, with couples more inclined to throw the rule book out the window and plan the wedding they truly want – at a price they can afford. Editor of recently launched Bride Destination magazine, Lorna Goodyer shares her top tips for planning an overseas wedding; research, research, research - find out what is required in your country of choice to make your marriage legal; hire a reputable wedding planner; give friends and family as much notice as possible. Australian travellers are being given a unique opportunity to indulge in a once in a lifetime experience, travelling to Kenya to witness the wildlife migration from the banks of the highly renowned Masai Mara River, known for the migration of a staggering 1.3 million animals! Australian wildlife photographers and cinematographers, Clive and Anne Arnold have spent the last 26 years working with African wildlife having produced five documentaries. For the last nine years they have also been taking Australian travellers on African safari tours to the places they have filmed and worked in, making their knowledge and experience second to none. Their latest new safari to Kenya will find their travellers staying just 50 metres from the Mara River in unfenced accommodation, where the animals roam free and will offer a rare opportunity to capture the experience on camera from the dining table, or perhaps from the waters edge accompanied by Masai warriors. After Dark Nature Tours offer sunset and nocturnal tours of Sydney Harbour National Park departing from Shelly Beach in Manly. For the more adventurous, the Night Wonders tour uses the latest night vision technology to enable participants to interact with local wildlife such as possums, echidnas, bandicoots and owls. The tour also provides a snapshot of the area’s Aboriginal and European history and the respective cultures’ interactions with each other and the natural environment. There's now less than a month to go for the National Gallery of Australia's popular exhibition Renaissance – 15th & 16th Century Italian Paintings from the Accademia Carrara, Bergamo, with the exhibition finishing up on Easter Monday, 9 April. Renaissance will be open over the entire Easter long weekend offering visitors to Canberra the chance to see paintings by great Italian Masters including Raphael, Botticelli, Bellini and Mantegna -.artists whose works have never been seen in Australia before. The exhibition will also be open until 7pm on Friday and Saturday evenings until 9 April with last timed sessions at 6pm. The chic Sculpture Bar in association with Veuve Clicquot opens every Friday evening from 5pm in the National Gallery of Australia Sculpture Garden. Over the last few months, the weekend sessions have proved most popular and the remaining weekends are selling out fast, so visitors are reminded to get in quick to avoid disappointment. For Renaissance devotees who want a more exclusive experience when viewing the exhibition, Premium Session tickets are still available on the remaining Saturdays and Sundays. Visitors can enjoy breakfast in the Sculpture Garden Restaurant from 8am, and avoid the crowds with access to the exhibition at 9am before the Gallery is open to the public. Premium Session tickets are $50 and spaces are limited. For families, the Yulgilbar Family Activity Room will ensure even the littlest of Gallery visitors are entertained and inspired. They can enrich their experience with the Children's Discovery Trail (a dedicated guide to the exhibition just for kids), special school holiday programs and the Family Activity Room within the exhibition. The Family Room features activities facilitated by qualified staff (suitable for children aged 3 – 10 years and their families). Fun activities include drawing, drama, stories, puzzles and games related to the life and work of the artists featured in the exhibition. Entry to the Family Room is included in the exhibition ticket. Peppers Retreats, Resorts and Hotels has designed an irresistible range of special offers for couples and families to experience the best of North Queensland including great-value stay for four, pay for three night deals and discounted packages. Peppers boasts four coastal resorts in stunning North Queensland locations including the luxurious Peppers Coral Coast Resort at the holiday haven of Airlie Beach. Magnificently set overlooking the majestic Whitsunday Passage, Peppers Coral Coast Resort is offering a special 20% saving on stays of two nights or more, allowing guests to soak up the holiday atmosphere from $228* per night in a One Bedroom Apartment or from $324* per night in a Two Bedroom Apartment. Plus, experience culinary delights at the resort's highly-acclaimed Tides Restaurant & Bar with a complimentary $50 food and beverage voucher. Peppers Coral Coast Resort offers a choice of luxuriously appointed one, two or three bedroom apartments featuring panoramic views and first-class leisure facilities such as a stunning wet-edge resort pool, fine-dining restaurant and an endota spa. Holidaymakers can also save 20% when staying for two nights or more at another one of Australia's most beautiful holiday destinations, Peppers Blue on Blue Resort at Magnetic Island, just a short ferry ride from Townsville. Stay from $148* per night in a Hotel Room including a delicious breakfast for two people daily. Or, escape to the holiday haven of Peppers Beach Club & Spa at Palm Cove and enjoy four nights for the price of three. Stay for four nights and only pay for three from $276* per night in a Lagoon Spa Suite, from $371* per night in a One Bedroom Lagoon Suite or from $466* per night in a Two Bedroom Lagoon Suite. Relax by the resort's sandy beach lagoon pool, indulge in a spa treatment at the onsite Salt Beauty & Spa, enjoy a gourmet beach picnic or dine at the resort's Lime & Pepper restaurant. Peppers Beach Club at Port Douglas is also giving guests the opportunity to stay for four nights but only pay for three. Enjoy being surrounded by a selection of nature's most impressive creations such the Great Barrier Reef and Daintree Rainforest, whilst indulging in luxury in a Spa Room overlooking the resort's stunning lagoon pool from $288* per night. *Subject to availability. Valid for travel from 1 April to 7 October, 2012. Block-out dates and minimum night stays apply. The 22-night San Francisco to Sydney package on this luxurious liner begins with two nights in the trendy and lively city of San Francisco with a day to check out all the hot spots such as Pier 42 and Alcatraz or just wander the streets and enjoy some local wine. The cruise includes port visits to Hawaii, Samoa and New Zealand before arriving at your final destination Sydney. With plenty of time at sea you can take advantage of the many opportunities to keep yourself as busy or relaxed as you wish with the personalised Cunard service which includes the finest cuisine, complimentary 24-hour room service, world class entertainment at the Royal Court Theatre, leisure activities and educational programs. Now priced from $4219 per person twin share it includes a one-way economy flight from Sydney to San Francisco, two nights' accommodation at the Handlery Union Square Hotel in San Francisco, 20 nights cruise accommodation with all gourmet meals, endless activities and educational programs on board, transfers in San Francisco and port charges and government taxes. If you want to get the best out of yoga, try the open deck of a Clipper ship -- preferably under billowing sails at sunrise or sunset. That's the advice of Christel Vollmer, yoga guru to celebrities including Madonna, Cindy Crawford and Sting, who says the high levels of oxygen at sea provide the ideal environment. Christel will join several Star Clippers sailings this year to teach the intense Power Yoga style which detoxifies and strengthens the body and improves flexibility, mobility and concentration for all age levels. She will also teach Slim Yoga and Healthy Eating (for losing weight and better posture) and Yoga for Back Care. Supplementing the healthy yoga theme, Star Flyer will offer some vegetarian meals at dinner, and plenty of fruit and salads with breakfast and lunch. After a series of yoga classes, lectures and meditation sessions on board the flagship Royal Clipper during a 16-night trans Atlantic crossing from Barbados to Malaga, Christel will continue on the ship's five-night cruise from Malaga (on April 23) to Civitavecchia (Rome). Prices start at $2270 including port taxes, and all meals and entertainment on board. She will then move to the 170-passenger tall ship Star Flyer which will be operating its inaugural sailing season in Scandinavian and Baltic waters. The complimentary yoga classes are available on three cruises: Hamburg to Oslo, seven nights on May 19 (from $3475); Warnemunde to Kiel five nights, June 17 (from $2385) and Oslo to Hamburg, seven nights, August 18 (from $3475).